I have designed and deliver a range of one-day management development-related training courses for a range of organisations. These are designed to be of benefit to those managers who want to get the best out of their staff by improving their skills and confidence in those messy performance- and development-based conversations. 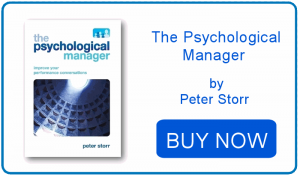 I believe psychology has a lot to say about management development and all these courses cherry-pick the most relevant psychological theory and practice to aid a deeper level of understanding of why people behave in the way they do – and how this knowledge can be practically applied. The attitude, skills and responsibilities of managing people; the why, the what and the how of your own development. How to adapt your management style when setting goals, giving feedback, improving motivation and coaching – for individuals and your team. How to be a excellent coaching manager, why you should do so, and when to do it. Forming and developing your team, understanding its psychology and facilitating it to become a high performing one. 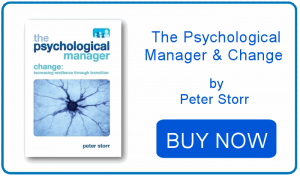 Understanding the psychology (and biology) of change and what you as manager can practically do to facilitate your team through transition. Identifying and learning how to make the most of your motivational drivers and work-based strengths. Enhancing your career through either internal promotion or a new role within or outside the current organisation. Identifying and dealing with the pressures and challenges of a role and developing mechanisms for meeting these challenges with a positive mind-set.